I highly welcome the proposal for the accession of the EU to Convention on International Trade in Endangered Species of Wild Fauna and Flora (CITES), which is one of the world’s most powerful tools for biodiversity conservation. However, as I see it, this step is only a drop in the bucket. Let me remind you that despite the EU’s (renewed) commitment to halt the loss of biodiversity in the EU by 2020 and to restore biodiversity wherever possible in the longer term as well as out long-term vision for biodiversity for 2050, the natural capital and the ecosystem services are being continuously depleted which will have profound consequences for our well-being. As stated the European Commission itself, over half of the habitats and species covered by the EU Habitats Directive are considered to be in an unfavourable conservation status and there is evidence that the status of many ecosystems is reaching or has already reached the point of no return. It is estimated that, each year we lose 3% of our GDP due to the loss of biodiversity! Besides undermining the economy, biodiversity loss and changes in the habitats and ecosystems also erodes social cohesion in (and outside) the EU. Thus, we must step up efforts in Europe to achieve our biodiversity targets (and to reach international biodiversity goals set within the CBD framework). We must ensure that none of the EU and MS policies (covering fields such as agriculture, forest management, fisheries and other resources, spatial planning, climate and energy, transport and products) have harmful impacts on biodiversity. 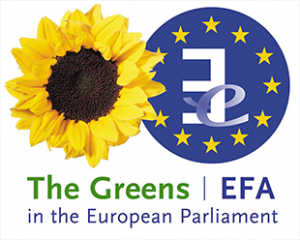 We must reinvest in natural capital, construct green infrastructure and ensure that all spending under the EU budget (including CAP, ERDF, EMFF, Cohesion Fund, Connection Europe Facility, Horizon 2020 and LIFE) is supportive of halting the loss of biodiversity. I therefore urge the European Commission and all European decision makers to set their priorities and structure their work mindful of the biodiversity targets and not to compromise biodiversity as it is key to sustaining the ecological systems and their services we all depend on.